LIMSfinder.com is pleased to welcome CSols to our family of world class Laboratory Informatics Solutions Providers. LIMSfinder.com is pleased to announce the addition of CSols as a premium sponsor. CSols is an internationally acclaimed Laboratory Informatics company that combines the expertise, services and products required to make analytical laboratories perform optimally. We help laboratories in all industries, from the global enterprise to the standalone operation navigate to their desired destination of the optimized laboratory. Our involvement ranges from the strategic - ensuring that the right mix of laboratory systems are chosen through to the tactical - making those systems, processes and personnel work. Software Point has signed a contract with all 21 counties in Sweden for delivering a solution for the NAT-RBR (national register for biobanks). The signed contract covers the implementation, a 5 year usage of the system and will be in production September 2009. 04/08/2008 - LABWORKS LIMS Website has a new look! 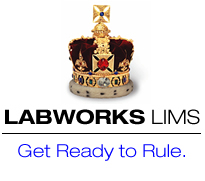 The LABWORKS LIMS website has been completely re-designed from the ground up to offer more information and ideas than ever before. You can see one-on-one customer interviews, download archvied webcasts and access in-depth customer case studies. Check it out at las.perkinelmer.com/labworks today! 04/07/2008 - Thermo Fisher Scientific Expands Its Watson LIMS Presence in Bioanalytical Services with Leading Contract Research Organization, Advion BioServices, Inc.
Thermo Fisher Scientific Inc., the world leader in serving science, announced today it is expanding its partnership with Advion BioServices, Inc., the bioanalytical services division of Advion BioSciences, Inc.
University of Notre Dame invests in popular software that gives students access to real-world tools before they enter the workforce.